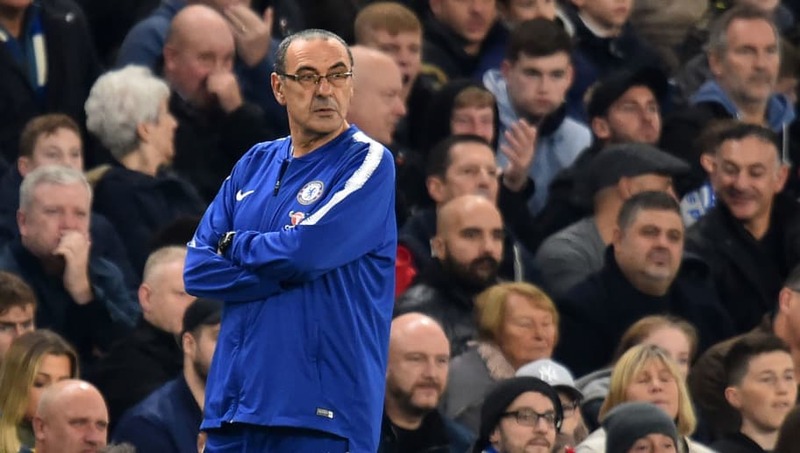 ​Chelsea head coach Maurizio Sarri has equalled a Premier League record after Chelsea went 11 games undefeated with victory over Crystal Palace. Sarri took over from Antonio Conte as manager at Stamford Bridge during the summer and has yet to taste defeat in the Premier League, with Chelsea starting strongly and looking to mount a title challenge. ​Alvaro Morata bagged a brace and Spanish teammate​ Pedro completed the scoring as Chelsea defeated Crystal Palace 3-1 at Stamford Bridge on Sunday. The result leaves them in second place, just two points behind leaders ​Manchester City. The 59 year-old Italian is now undefeated in his first 11 Premier League games – equaling the record set by Nottingham Forest boss Frank Clark between August and October 1994. Forest finished third in Clark’s record season, which is still the highest finish of any newly promoted side in the Premier League era. ​​Sarri’s only defeat came in August when Manchester United comfortably beat ​Chelsea 2-0 in the Community Shield. They overcame Chelsea legend Frank Lampard’s Derby County in the Carabao Cup during the week, setting up an intriguing encounter with ​Bournemouth in the quarter-final. They also overcame ​Liverpool at Anfield on Carabao Cup duty. If Sarri manages to avoid defeat against Everton on Sunday, the Italian will break Clark’s record. Chelsea’s and Manchester City’s victories on Sunday also meant it was the first time in 30 years that three teams in England’s top flight have remained undefeated for the opening 11 games. Chelsea will now return to Europa League duty on Thursday as they travel to Belarus to take on BATE Borisov. The Blues hold a six point advantage in group L after winning their opening three games, and can secure progression to the round of 32 with a victory in Belarus.